​With Governor John Hickenlooper's recent signature, Colorado becomes the last state in the country to legalize rain barrels for residential and commercial rainwater reuse. Better late than never! Longmont Gutters is proud to finally offer rain barrel installation, repair and integration to both existing and new rain gutter systems throughout Longmont and the Colorado Front Range. Simply put, Rain Barrels are a terrific way of reusing the water Mother Nature drops on our roofs. Whether you're looking to save a little on your water bill when taking care of your vegetable garden this summer or will be using your rainwater to simply water your lawn, Longmont Gutters can help with the installation and connection to your gutter system to ensure your rain barrel is set up and functioning properly. Are you looking for a decorative rain barrel to match your rustic garden motif? Are you interested in a rainwater collection system that is buried under the ground to maximize space in a tight backyard? Whatever your rainwater collection dreams may be, Longmont Gutters can help to make them a reality. We've helped well water owners in Colorado (who were previously able to utilize rainwater collection systems) install and maintain rain barrels for years now, and are versed in the ins and outs to make sure your system is functioning correctly and helping to maximize your water savings. 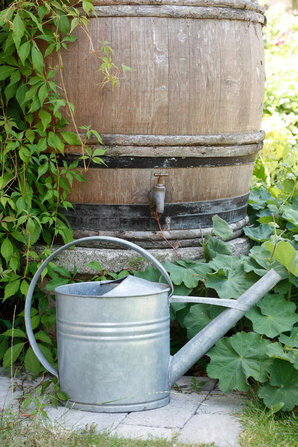 So if you've been casually considering installing a rain barrel or two on your property to help take control of your water usage, give us a call! We're your trusted source for rain barrel installation in Longmont, Boulder and all surrounding areas.